The prospect of exploring an unknown system of underground tunnels called “caves” may already seem like a daunting sport to a regular person, but cave exploration cannot exactly be considered an extreme sport. If you are looking for a dangerous and exciting caving activity, then you have to try vertical caving, which is regarded as one of the most challenging and dangerous extreme sports ever tried by man. Pit caving, or vertical caving as it is commonly called, is a special sport that requires intermediate to advanced knowledge of and experience in navigating caves and making use of caving equipment for vertical jumps or falls. This form of caving involves navigation of a tunnel that runs downward instead of a horizontal underground cave tunnel (as is the case in horizontal caving). 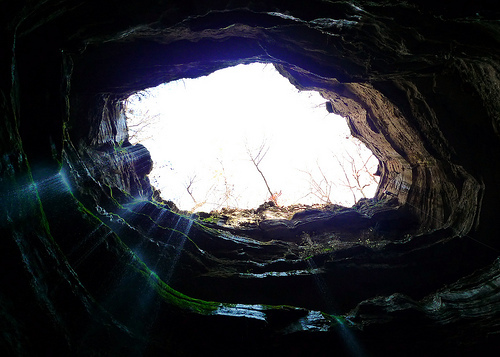 Exploring dark underground tunnels may already be challenging to some, but pit caving requires more because of the danger and thrill of jumping into a pit that is hundreds of feet deep without anything to stop your fall except your skills, rope, and equipment. Also, knowledge of self-rescue methods like change-overs and pick-offs are required. All of these can only be acquired through experience, so it is a good idea to experience horizontal caving first before trying out pit caving, and then make sure you have an expert pit caver with you when you finally go on your first pit caving trip. 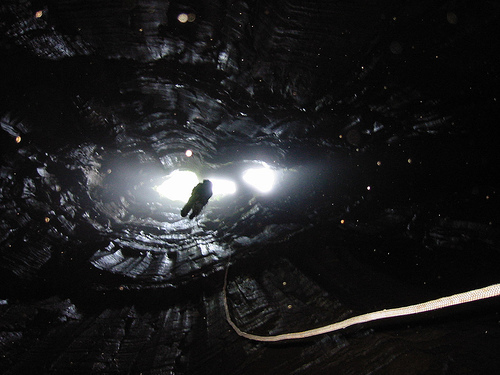 America is dotted with numerous pit caving spots, most of which are known to host extreme sports events. 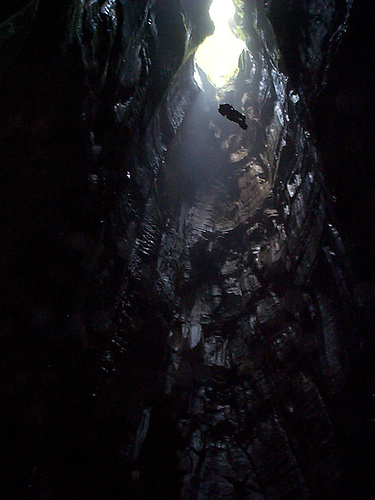 For instance, the famous Sótano de Las Golondrinas in San Luis Potosi, Mexico attracts thousands of pit cavers on an annual basis since it is known to have the deepest freefall drop of approximately 1,100 feet. The El Capitan Pit in Alaska, USA is the deepest vertical shaft in the U.S. with approximately 600 feet depth. If you are into cave exploring and pit caving at the same time, visit the Stupendous Pit at Rumbling Falls Cave in Tennessee, USA, where a 586-foot freefall pit ends in a 26-acre underground chamber of sparkling stalactites and stalagmites. However, if you are looking for THE caving pit, you can go to Europe and visit the Vrtoglavica Cave in Slovenia, where the vertical drop is nearly 2,000 feet deep making it the ultimate pit caving site for the wildest pit cavers in the world. This entry was posted in Alaska, Caving, Europe, Featured, Land Sports, South America, Tennessee, United States and tagged Caving, Pit Caving, Vertical Caving. Bookmark the permalink.